As conflict erupted at the Central Railway Station in Kyiv on Thursday, which led to a shootout, wounding at least three people, press secretary of Kyiv Police Department Oksana Blyshchyk wrote on Facebook. "The incident occurred at Vokzalna Square. Police officers have been deployed to the scene. At 09:50, the officer on duty received an alert reporting on a conflict outside a public catering establishment near the railway station, where two perpetrators allegedly fired traumatic weapons, wounding three men. According to preliminary information from the emergency response medical team, victims suffered wounds to their legs and arms. They were admitted at the hospital, where they were provided necessary treatment. The attackers fled," the press officer said. 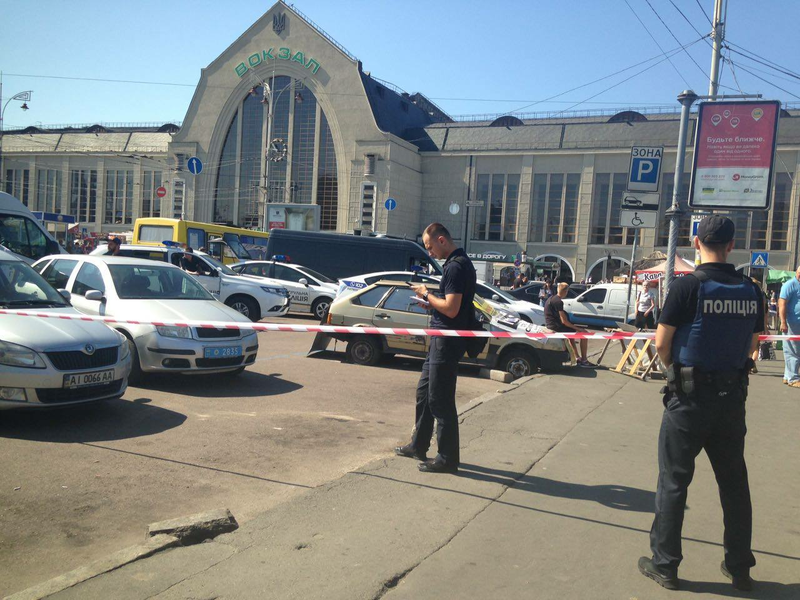 Read alsoKyiv to switch to non-cash payment for parking from Aug 10According to Blyshchyk, patrol police, a CSI team and police operatives are now working at the scene. Law enforcers continue the search for the perpetrators, accessing incoming data from eyewitnesses.